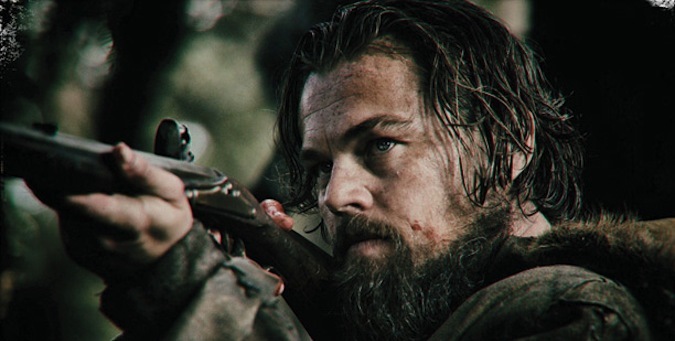 Alejandro González Iñárritu‘s follow-up to his Best Picture-winning Birdman will be The Revenant, starring Leonardo DiCaprio as a frontiersman left for dead by his fellow trappers after being mauled by a bear. A revenant is “a person who has returned, especially supposedly from the dead”, according to the OED (I love that especially supposedly bit), a term derived from High Middle Age folktales. These tales generally held that revenants would return from the grave either to seek revenge on a killer or wrongdoer or just simply to harass friends and family members. That latter class of revenants really sounds like a bunch of assholes. The story upon which Iñárritu’s Revenant will be based (specifically a 2002 book of the same name by author Michael Punke) has already been filmed as Man in the Wilderness, casting Richard Harris in the central role of Zach Bass (DiCaprio will be “Hugh Glass”, but it’s the same character). Wilderness and Revenant are the same story told two different ways, and one would assume that Iñárritu’s approach would hew much closer to the more recent book. It will be interesting to see how influential Wilderness actually is, though, because it holds some sequences and motifs that kind of seem at home in Iñárritu’s wheelhouse. The primary point of contact could be the use of religion within the story. Punke’s Revenant isn’t devoid of faith-based imagery (his might be a “reverent revenant” [doh! ]), but it is heavily detailed and written in a grounded way. Passages are more likely to describe the gruesome way in which our hero’s scalp slides back and forth over his skull in the wake of the bear mauling than to describe our hero’s rise in biblical terms. The realism is very Western, very Cormac McCarthy, and very intense. Man in the Wilderness, on the other hand, plays heavily into this more faith-based side of the story. Flashbacks to Zach’s childhood show him in his one-room schoolhouse, his fiery professor whipping the desk in front of him and demanding he answer the question “Who made the world?” When Zach is silent, the professor whips the desk as he repeats “God! God! God!” It doesn’t get much more unsubtle than that. The better moments come in the actual story, as Zach lies helpless on his back feet from a bubbling brook. He manages to roll down the hill to the stream, death inching ever closer, and his limp hand strays into the water beside him. The sunlight glints off the river water and his hand twitches, seems to come to life. Zach lifts his arm and drinks the life-giving waters, and so begins his return to the living. One might imagine a knowing priest blessing the holy water upriver. The religious angle is an addition that usually improves Man in the Wilderness, which is otherwise a bit of a drag at points. The production design is by turns weirdly unexciting and weirdly flamboyant, the unexciting bits consisting of the seeming refusal (or simple inability) to find the beauty in the natural world through which Bass must travel. The group of fellow trappers, led by John Huston, travels in a boat that they drag over the rocky terrain Fitzcarraldo-style, and their garb is more fit for a group of pirates than a group of woodsmen. If Terry Gilliam directed Jeremiah Johnson this might be the result, and that absurd-sounding aspect of Man in the Wilderness is often the most entertaining. I don’t imagine much of Iñárritu’s Revenant will be deemed “Gilliamesque”, and it might not deal in religion as heavily as Man in the Wilderness does. Iñárritu’s earlier work certainly dealt in grand, cosmic ideology that toyed with religion again and again, but perhaps Birdman is one piece of evidence that he’s moving away from that. And seeing as The Revenant is reportedly being filmed using only natural light, the realism of Punke’s novel sounds more apt to be the tonal focus of the new take. Regardless, Man in the Wilderness is worth a watch, if only to prep for Leonardo DiCaprio stepping into the badass shoes once worn by Richard Harris. I’m glad DiCaprio’s main character is named Hugh Glass as that was the real guys real name. Otherwise, this film is gonna have to strive to surpass Man In The Wilderness which was terrific. Can’t wait to see it. It’s the same movie. Where is the originality? Different Lens used at times in Revenant ( fish – eye ). More developed plot in Revenant. Two different filmmaking eras. Two excellent leading male actors. Both equally good at playing huntsmen, though Di Caprio’s character more like Canadian Michael Fox ( See: Back To The Future), than Irishman Richard Harris ( See: The Field ). The French ( New France ) were definitely in the area first conflicting with the indigenous peoples. Set in the time span immediately following the Corps of Discovery expedition of Lewis and Clark and the War of 1812, what’s not to like about either film? Thank you, President Jefferson, for purchasing the area from Napoleon. And, thank you, President Jackson, for enforcing the purchase when the British so vehemently objected to the transaction.